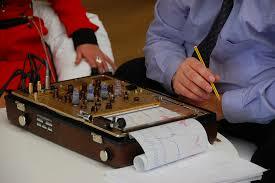 The first problem is that polygraph tests have long been shown to be fallible - and gameable. The second is that suggesting AI and machine learning have this level of authority given the degree to which science is still trying to determine its capabilities - to say nothing of their well-researched faults and biases could lead to misuse, misunderstanding - and harm. Researchers claim to have built a prototype for an "online polygraph" that uses machine learning to detect deception from text alone. But what they've actually demonstrated, is the inherent danger of overblown machine learning claims. A text-based "online polygraph" that's faulty could have worse social and ethical implications if adopted than leaving those determinations up to human judgment. Polygraph tests have been shown for years to have scientifically dubious results prone to both false positives and being gamed by trained test takers. "They’re not thinking through the social implications. They need more attention to the negative externalities." In the lie detection study, there's almost certainly a similarly artificial difference in the study's groups that doesn't apply in the real world, says Kate Crawford, the co-founder of the AI Now Institute at New York University. Just as the criminality study was actually detecting smiles, the lie detection study is likely carrying out "performance detection," Crawford argues. "You’re looking at linguistic patterns of people playing a game, and that’s very different from the way people really speak in daily life," she says.